They don’t wear suits, but the five Carter brothers work hard to earn a day’s pay—and keep the right woman satisfied . . .
Naomi Carson is as savory as her soul food and has twice the spice. This confident, large-and-in-charge beauty also has high aspirations, and will work all her skills against the tasty Mr. Marvin to take first place—and start her caterer-to-the-stars business. As their attraction burns hot, the other contestants can’t take their heat nor their talent, and threaten to burn their dreams to ash. 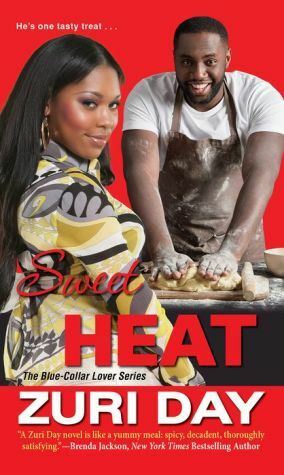 Will the desire be doused—or can Marvin and Naomi find common ground and fire up the chance of a lifetime?